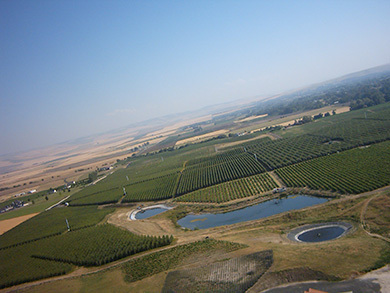 Pepper Bridge Vineyard, planted in the terraced remnants of ice age flood silts, is one of the Walla Walla Valley’s most reputable vineyards. 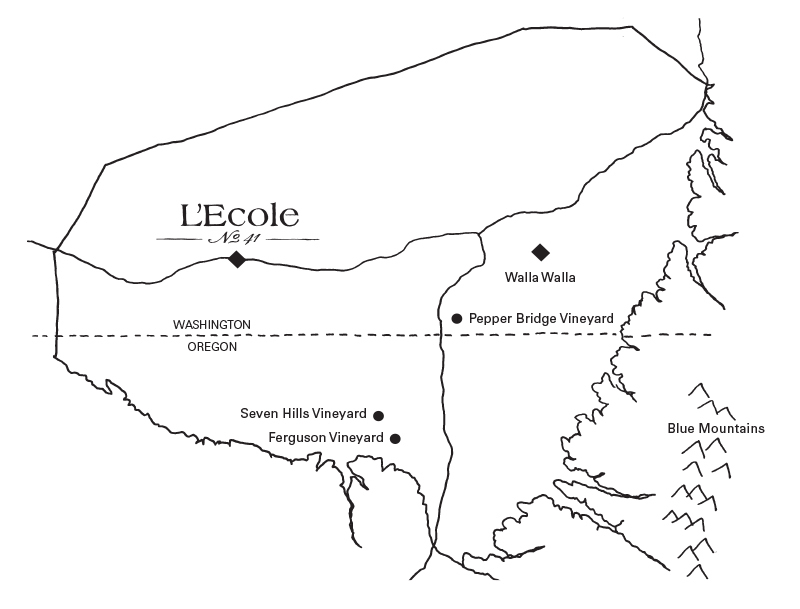 L’Ecole was the first winery to produce a wine from Pepper Bridge – our prized Bordeaux blend, Apogee. 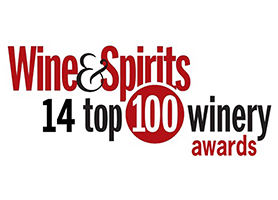 Unique site characteristics shine through in Apogee’s distinctive spicy aromas, dark fruit flavors, robust tannins, and rich structure. This original 10 acre vineyard was planted in 1991 and has been expanded over the years to 175 acres. Closer to the Blue Mountains, it is cooler and wetter than Seven Hills, delaying harvest on Merlot by 10 days and often three weeks on Cabernet Sauvignon. At an 850 foot elevation, Pepper Bridge is planted on the terraced remnants of ice-age flood deposits. 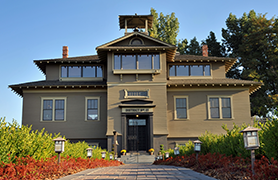 The top three feet of soils are Walla Walla silt loam, which is a wind-blown, mineral-rich loess. Underneath this layer are rich sedimentary deposits from the numerous glacial floods that inundated the Walla Walla Valley during the end of the last ice-age. Today, Marty Clubb’s primary focus at the winery is a hands-on approach to our viticulture operation. We currently hold acreage contracts on 14 acres of vines providing specifications on pruning, yield, canopy management, irrigation, thinning, and harvest timing. 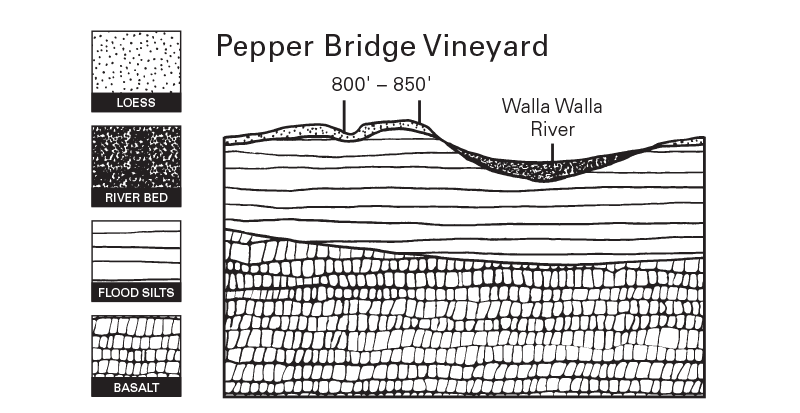 Tom Waliser, one of the Walla Walla Valley’s most respected viticulturists, has been the Vineyard Manager at Pepper Bridge since its inception. 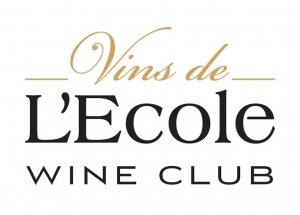 Tom and Marty work collaboratively on the management of the L’Ecole blocks to assure the highest level of quality. Marty has been working with Tom in several vineyards since the early 1990s. 5 acres of Cabernet Sauvignon and 5 acres of Merlot were first planted in 1991 – the grapes that originally attracted Clubb.